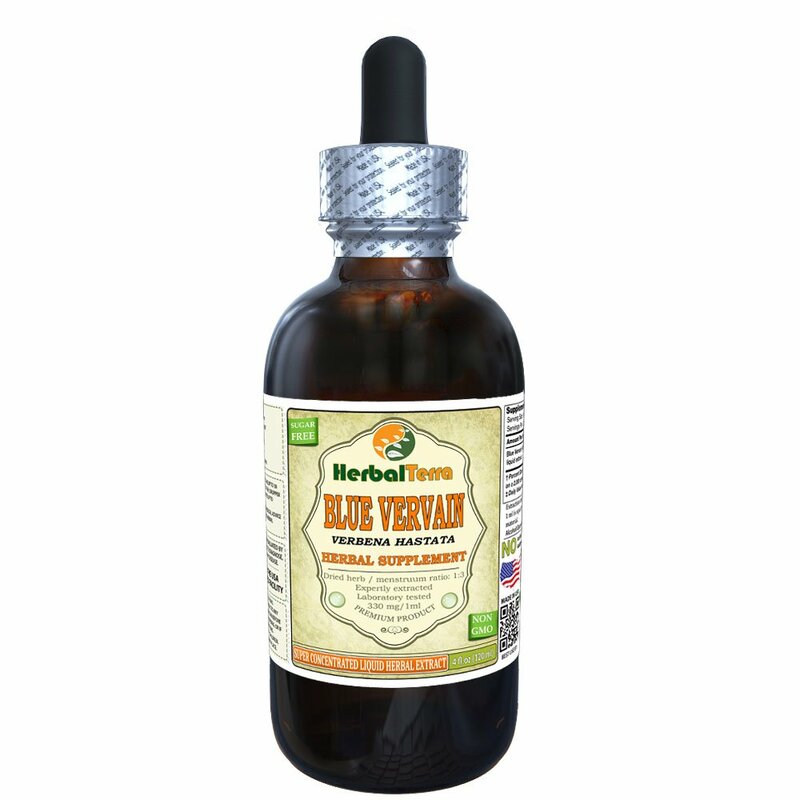 Expertly extracted under strict quality standards and procedures from the Certified Organic Blue Vervain Dried Above-ground Parts. We meticulously produce our extracts according to precise standards where each herb is extracted according to the distinct characteristic of each plant! 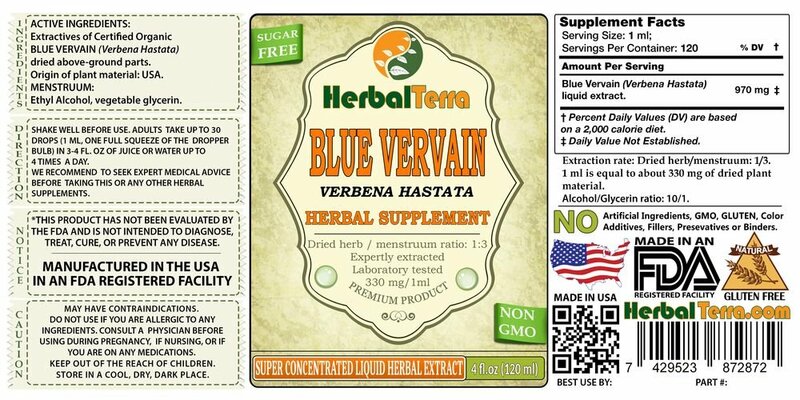 Super concentrated Blue Vervain tincture: dry plant material / menstruum ratio is 1:3! Extraction rate: 1 ml of extract is equal to about 330 mg of dried herb! Blue Vervain (American Vervain, Wild Hyssop, Simpler’s Joy or Swamp Verbena) is a flowering plant in the vervain family, Verbenaceae. It is a herb with opposite, simple leaves which have double-serate margins, borne on stiffly erect, branching square stems. The flowers appear in summer and are purple. This is a common plant that occurs across North America. They are hardy and drought resistant. This species is a member of the diploid North American vervains which have 14 chromosomes altogether.